Good customer relationship management software manages all aspects of your sales and service processes and gives you a complete view of every interaction with customers and prospective customers. If you have not invested in a good CRM software package, it's time to take the plunge. We discuss CRM -- how it works and how it can help you grow your business. Wouldn't it be great if there was a way to organize your customer information, improve communication channels, and identify new prospects - all in one, central location? The solution you're looking for is called customer relationship management (CRM) and it might be the next big thing for your small business. 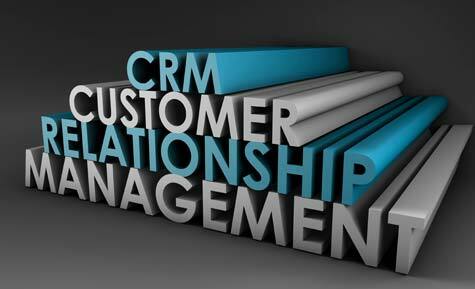 The key to understanding what CRM is all about lies in its integration capability. Unlike most software solutions, CRM software manages almost every aspect of the selling process - both before and after you make the sale. At various points, a quality CRM solution will impact call center functions, sales force activities, marketing efforts, technical support, and customer service. The result? Your customer management and sales numbers go up while your frustration level goes down. Many small businesses have steered clear from CRM because they didn't think it was feasible for smaller operations. At one time, that may have been the case. However, current CRM solutions are available in a wide range of sizes and options. No matter how big or how small your company is, there is a CRM solution out there that is designed to meet your needs. One of the key features of CRM is that it enables you to collect and organize data about prospects and current customers. Valuable information such as customer contacts, purchase history, customer profiles, and prospect lists are just a keystroke away with the right CRM software package. Most small businesses realize a decrease in expenses after implementing CRM software through reduced mailing costs. By maintaining customer data in a central location, redundancies and stale mailing addresses can easily be rooted out, ensuring that your marketing materials reach their intended recipients every time. More importantly, most CRM systems have the ability to send e-mails rather than letters, saving you the cost of postage. That might seem insignificant, but when you add up the cost of mailing thousands of items on a monthly or semi-monthly basis it can be significant. Another big benefit of CRM is that it can help your business turn prospects into paying customers. It does this by keeping track of sales leads and inserting them into a structured process that can be customized to your business. Instead of dropping leads through lack of follow-up, you are virtually guaranteed that every lead will be pursued to its outcome. In the same way that CRM manages prospects, it also manages current customers and presents opportunities to acquire repeat business through a system of periodic check-ins and updates. In some cases, CRM can even be used to stir up additional business by making your current customers aware of other products and services your company offers.